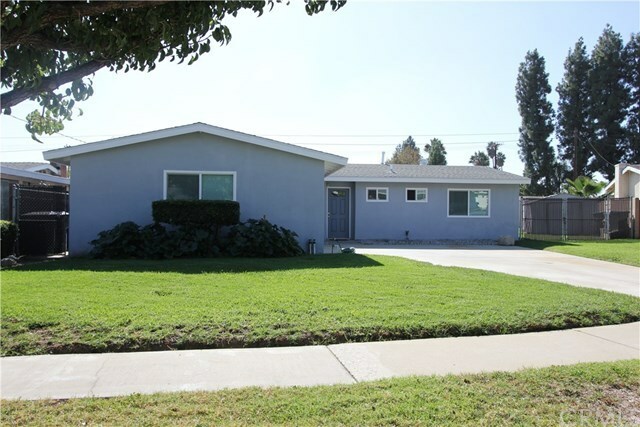 Recently remodeled Alta Loma home located on a quiet cul-de-sac street. Recently upgraded with all new wood laminate flooring, tall baseboard, all new paneled doors, fully remodeled baths with new bathtub, shower enclosure, toilets, sinks, vanities, fixtures, and tiled surrounds with decorative insets! Kitchen was totally removed and replaced with beautiful white cabinetry, quartz counters, and all new white appliances. All new dual paned low e windows/slider installed, as well as recessed lighting throughout the house providing plenty of brightness. The back yard offers plenty of room to play, a storage shed on concrete foundation, and, room for possible RV parking. Located close to freeway access, shopping, award winning schools, and more!